Today I am sharing my latest DIY project with you! I found this on Pinterest. There were several versions. 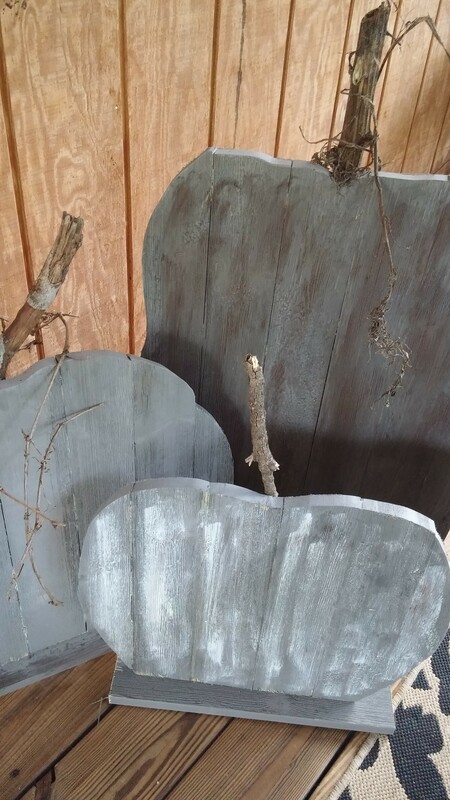 The one I liked was from a blogger who used wood from her grandfather’s old barn to create hers, so nice and what memories! I enlisted my husband’s help and off to the hardware store we went. Sorry, not my favorite place but you can find some cool things there! He had a certain kind of wood in mind for this project and when we found the right aisle and saw the wood, he knew immediately we were going to use something else! 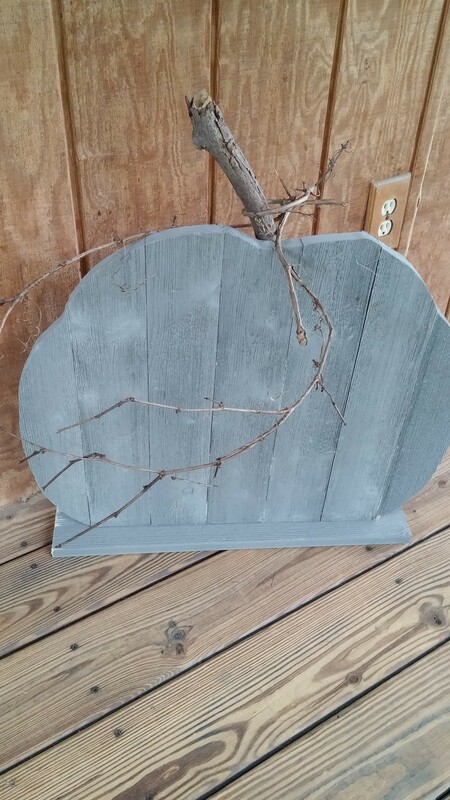 I LOVE the color gray in decorating and they had gray barn wood, I was hooked! 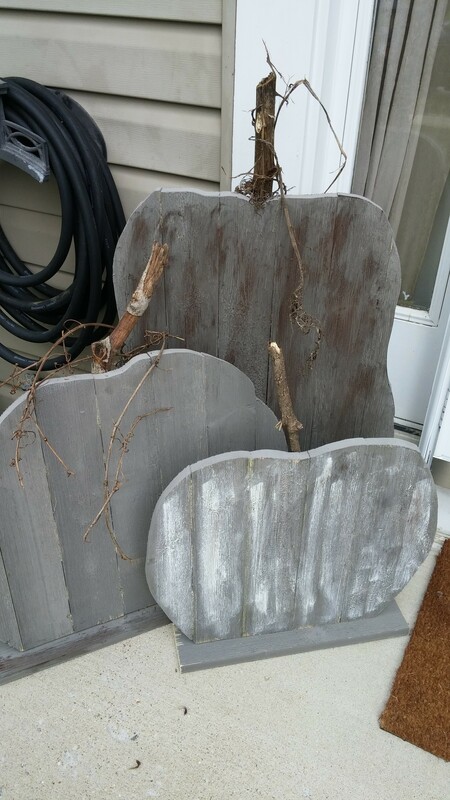 I had planned on painting and distressing these pumpkins but my designed slightly changed when we discovered this wood. I love it! 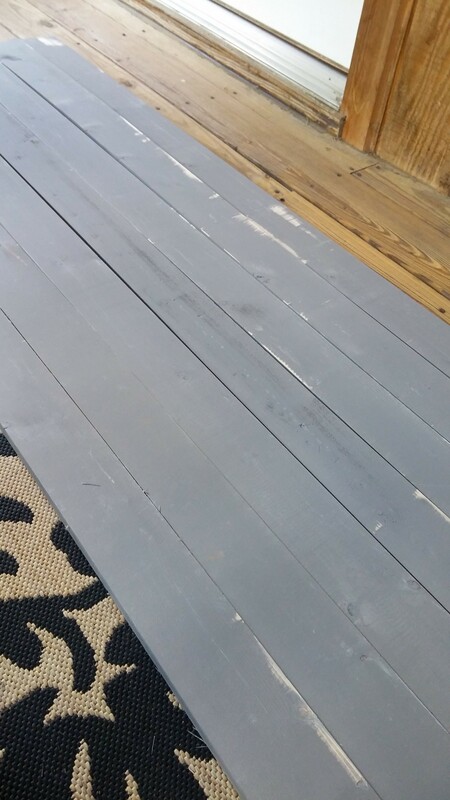 We even have another project in mind with a gray barn wood shiplap they have! This project is pretty simple IF you have the tools and knowledge for cutting wood. That is my husbands strength not mine! I designed and created the pumpkins on poster board. 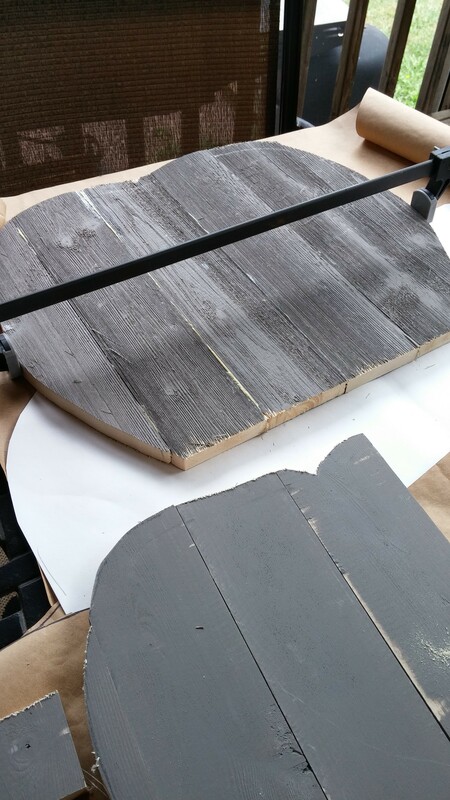 We laid 7 pieces of the gray barn wood side by side and my husband placed my templates on and traced around. Then he labeled each piece with a pencil by number. He took each individual piece and cut the wood out. Then glued those pieces together to create each individual pumpkin! We got 1 large, 2 medium and 1 small, we also got 4 mini pumpkins out of the wood as well. We used branches and vines we found on a nature walk we took and he screwed those on the back of the pumpkins. My daughter was home from college for the weekend and she helped me with the painting. She painted all the exposed edges. Once you cut the wood the edges are not gray. I used dark aging cream to add some brown to 2 of the pumpkins, left one plain and added some vintage white chalk paint to my small then sanded it slightly. I LOVE the way they turned out! I think they add a beautiful fall touch to my front porch! 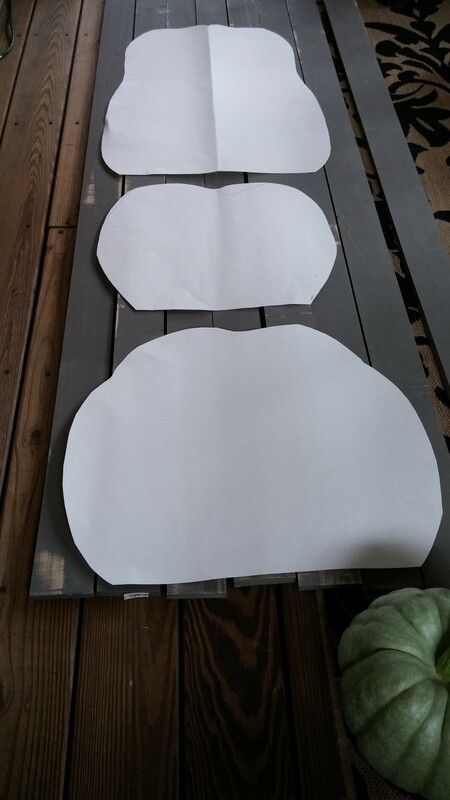 I am placing my other medium one on my parents porch!